Thor Ragnarok opens in theaters this November, so I am gearing up for the super hero fun with baking! In honor of the movie, I thought it would be fun to get creative in the kitchen and make some sweet treats! I love a cupcake and have always made fun themed cupcakes for my kids birthday every year. 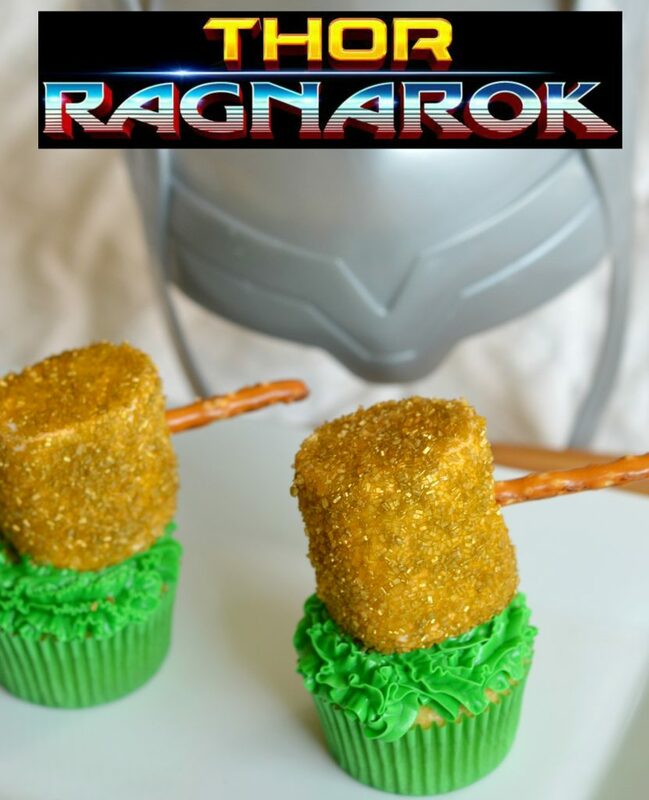 So, why not make a Thor inspired cupcake?! I even threw in some green icing in honor of Loki. Fitting that the hammer comes crashing down on the Loki green icing! In Marvel Studios’ THOR: RAGNAROK, Thor is imprisoned on the other side of the universe without his mighty hammer and finds himself in a race against time to get back to Asgard to stop Ragnarok—the destruction of his homeworld and the end of Asgardian civilization—at the hands of an all-powerful new threat, the ruthless Hela. But first he must survive a deadly gladiatorial contest that pits him against his former ally and fellow Avenger—the Incredible Hulk! THOR: RAGNAROK is directed by Taika Waititi and returnsChris Hemsworth starring as Thor and Tom Hiddleston reprising his role as Loki. They are joined by Cate Blanchett, Idris Elba, Jeff Goldblum, Tessa Thompson and Karl Urban, with Mark Ruffalo and Anthony Hopkins. Bake your favorite cupcake recipe according to the directions. 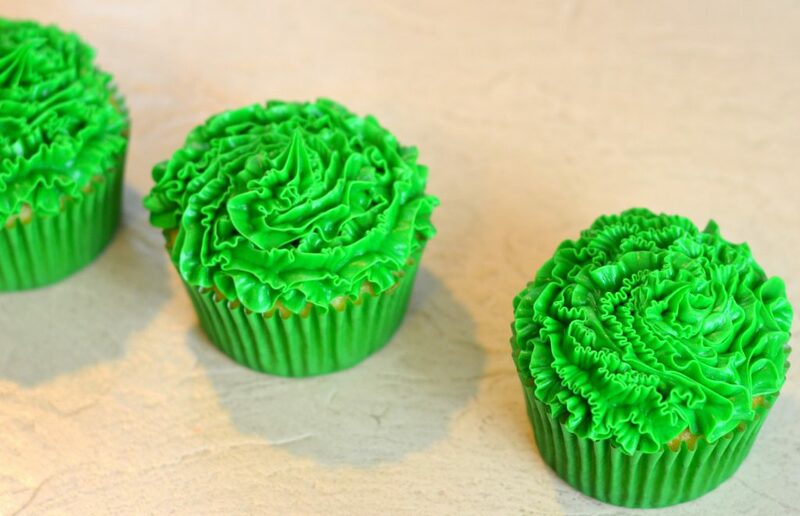 I used green cupcake holders and icing to give it the “Loki” effect. 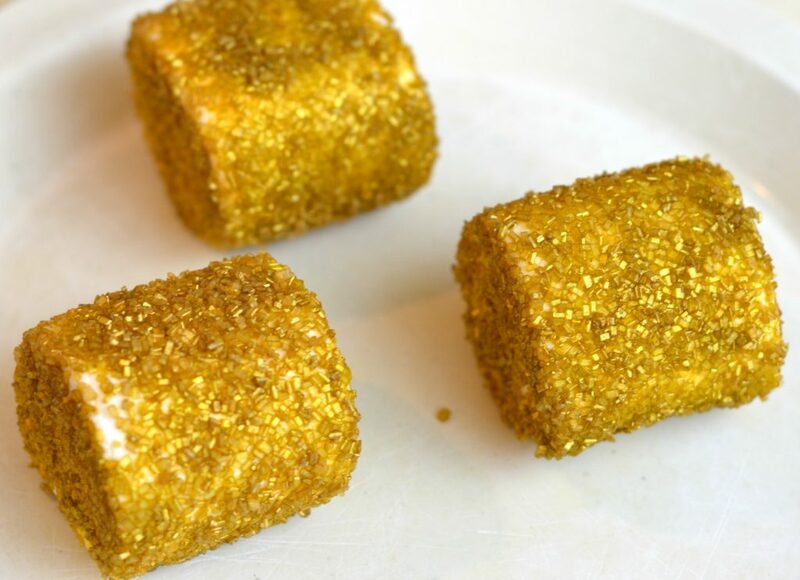 For the hammer, I coated Jumbo marshmallows with water and immediately rolled the wet marshmallow in gold sprinkles. I was going to use silver sprinkles because Thors hammer is closer to that color but I really like how the gold turned out! Set aside to dry. 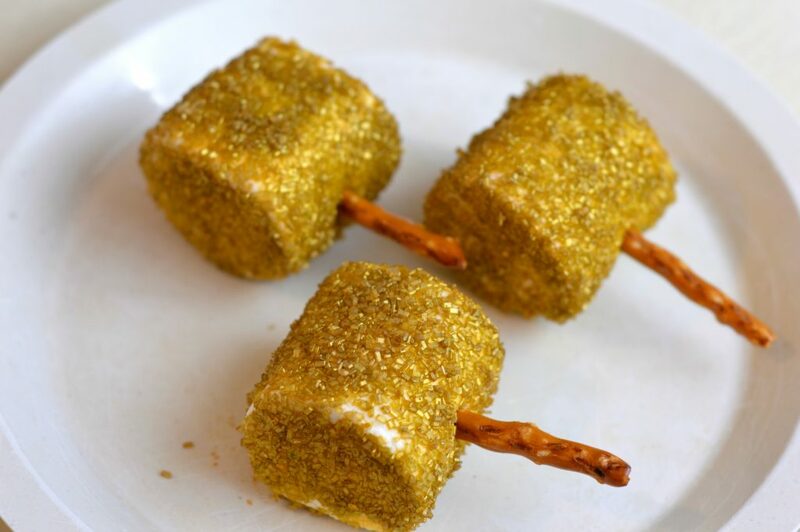 Once the marshmallow has dried completely, stick a pretzel stick and place on the cupcake. 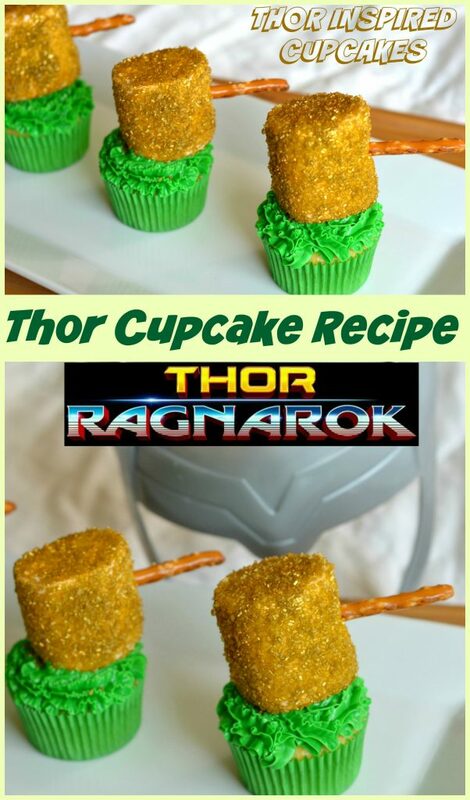 This is such a fun and easy treat to make for your Thor themed party!